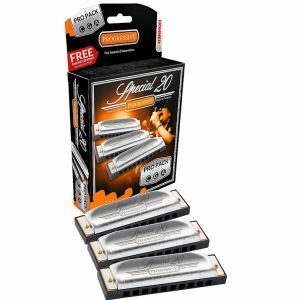 The 1896 Marine Band Harmonica Pro Pack contains 3 of Hohner’s professional-level Marine Band harmonicas in a package that give you value of money while offering you the most popular harmonica keys C, G and A. 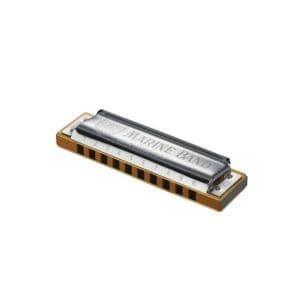 The Hohner Marine Band harmonica is played by iconic figures such as Little Walter, Paul Butterfield, and Bob Dylan. It has stood the test of time, first produced in 1896 and is still played by professional musicians across the world today. This harmonica with it’s full tone, musical range and distinctive pearwood comb is produced by German craftsman. It has arched stainless steel cover plates with side vents. 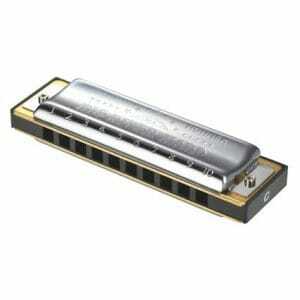 The recessed 0.9mm brass reed plates makes this harmonica extra airtight. 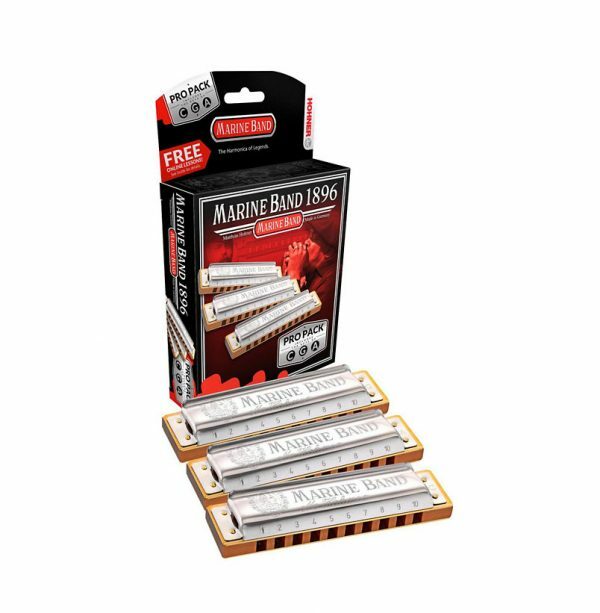 The Hohner Marine Band 1896 Pro Pack contains harmonicas in keys C, G and A, and comes with 30 days free online harmonica lessons. 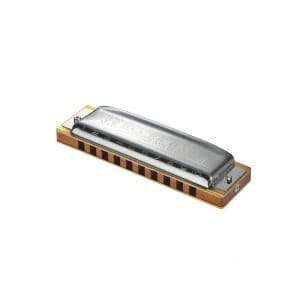 The Hohner Marine Band 1896 is designed for playing blues and folk music.